Graduate students from across the US tackle the interconnected business and sustainability aspects of a current, real-life issue facing the outdoor gear retailer Patagonia. The winning team receives a $15,000 prize, second place $5,000, and third place $2,500. ● The top two teams are invited to Patagonia headquarters in Ventura, California. Flight, local transportation, food and hotel to attend will be paid for and arranged. Visit includes a surf outing with Patagonia. The visit to Patagonia headquarters will take place in late May or June 2019. 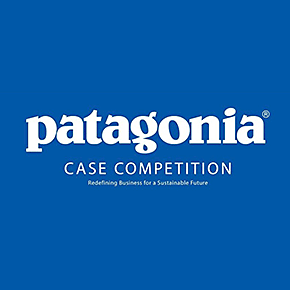 ● The top two teams receive official recognition by Patagonia for their respective contributions to the 2019 Patagonia Case Competition. ● All on-site finalists will receive Patagonia swag for their participation in the event.